Video evidence is gold, even in admitted liability cases. Its utility to force defendants to admit liability is only a starting point. Nothing so powerfully illustrates your client’s damages as the image of the defendant’s car broadsiding your client’s car. 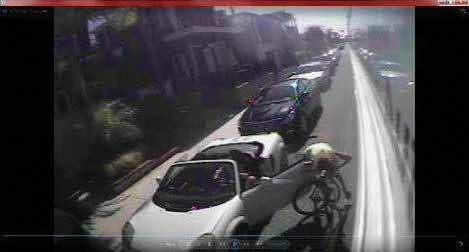 Nothing says human losses like the sight of a bicyclist being run over and dragged under the defendant’s car. Video evidence can spur otherwise recalcitrant adjusters to settle for amounts greater than what they would otherwise. It draws jurors into your client’s experience and offers them a respite for what many find to be the monotony of lawyers’ oration and witness testimony. It elicits in the viewer a visceral reaction that taps into the reptile brain. This article focuses on the art of gathering video evidence from nonparties. Obtaining it is an indispensable art that should be incorporated into the plaintiff lawyer’s repertoire. several weeks. So time is of the essence. That means that a Google Maps street view survey for cameras should occur during the telephone intake. Assume that you are sitting at your desk when the client calls. She was a passenger in a car that was T-boned in an intersection. She swears she had a green light and that the defendant’s was red. Before she goes into too much detail, you take control of the conversation, ask the client the street names of the exact intersection (it’s almost always an intersection), and pull it up on Google Maps. You have the client detail where she and the defendant were just before the accident, including cardinal directions and lane numbers, then the exact location of the accident. You click on the satellite view and zoom in to a level of detail sufficient to see the structures surrounding the intersection. Maybe some are apartments or businesses. Then you search the street view where the accident occurred for a security camera. Many apartments and businesses now have security cameras inside and out. Some single-family residences do too. Many cameras are readily visible in the Google Maps street view, often located high on the first floor of buildings, either above parking lots or doorways, or on the side of the building below the roof line. Some accident sites are located on bus or train routes, so look for street signs, bus stops and train tracks. In one case (see Figures 1 and 2), a bus was passing when the owner of a parked car opened the driver’s side door into the path of a cyclist who got injured as a result. The defendant later said that it was on the passenger side of the parked car and that the cyclist crashed into the door after it had been open for some time. The passengers on the bus saw the accident as it occurred, and urged the driver to stop. The video cameras on the bus caught the incident and the police report listed the bus driver as a witness in his capacity as a bus driver. The plaintiff’s lawyer wrote the bus company a spoliation letter and obtained the footage. evidence. Others may still take small enough cases where we suspect the injuries or coverage do not warrant the investment in an investigator. Some simply cannot afford an investigator. Either way, the decision must be made at the intake interview or soon thereafter because the evidence is fleeting. Failure to authenticate can produce disastrous consequences. In McGarry v. Sax, (2008)158 Cal.App.4th 983, 990, the plaintiff caught a skateboard tossed into a crowd of spectators at a promotional event. Several spectators turned on him, beat him and took the skateboard from him. Plaintiff offered into evidence a defendant-produced video of a skateboard product toss. This offering was calculated to demonstrate the danger of product tosses and to establish defendants’ complicity in sponsoring the product toss. Plaintiff did not try to authenticate the videotape. He testified contradictorily that the video depicted the toss at which he was injured and that the video depicted a second skateboard toss that took place later that day. The trial court failed to grant or deny defendants’ objections. The provenance of the tape remained shrouded in mystery. The court of appeal held that plaintiff’s failure to authenticate the video rendered it inadmissible and useless on appeal because what it depicted could not be ascertained. You must therefore anticipate at the outset of the case the potential need for testimony authenticating a video. That testimony must lay the foundation that the video depicts what it purports to show, even if the defense may ultimately stipulate to the video’s authenticity. Some defense counsel will not stipulate, in spite of how irritating it is to the judge and jury. How you obtain the video can determine how it gets authenticated. Sometimes, a time and date stamp on the video, accompanied by a declaration of the custodian of records, will suffice. But some videos come from mom and pop businesses without such infrastructure. In that case, and if a small policy and big injuries are at issue, defendants may not dispute the video’s authenticity. This is particularly true if liability is obvious. Such cases likely will not make it to trial. But the bigger the policy, the greater the likelihood that defendants will try the case. And sometimes you don’t know the value of the policy until long after the initial client intake. So, the means by which the video is obtained may ultimately lay the foundation for its authentication. If you have the resources and the injury and likely coverage that justify it, the best practice is to task an investigator with canvassing the area for footage. This averts several pitfalls that can jeopardize your case. It helps shield from scrutiny your client’s claim for damages. If your client obtains the video, the testimony by which your client authenticates it may minimize her damages. The client may have to testify that, after the accident, she went back to the site, found the camera, spoke to the proprietor of the business that owned it, and obtained the video. Defense may successfully argue that, if the client was able to play detective and obtain evidence, she must not have been as hurt as she claims. And by speaking to the proprietor, the client made him a potential witness to her condition soon after the accident. Jurors may be suspicious of a plaintiff who claims big damages, but is able-bodied enough to obtain evidence. This opens a can of worms that should be avoided. Nor is it always prudent to obtain that video yourself. The need to lay the foundation to authenticate the video makes that lawyer herself a potential witness. This risks creating a distraction, making a sideshow of the process, costing you face and trust with the jury, and needlessly ceding power to the defense. Moreover, laypeople are often reluctant to help lawyers because they mistrust them. This is true even if the investigating attorney assures them that giving us their video footage would not expose them to the least liability. Nonetheless, if the client either cannot communicate directly (if the injury is too severe) or Google Maps has no street view of the location (increasingly rare), someone should visit the site directly, walk around, look high and low and take photos. Corporate nonparties with a greater internal infrastructure tend to be more cooperative. Those with dedicated legal departments like LA Metro or AT&T can spare the resources to ascertain whether video evidence exists, preserve it, store it and produce it when the time comes. They tend to have internal procedures for following up on such matters. Some of those procedures may prevent them from producing videos absent a subpoena, but someone on the legal team may be willing to waive the procedure if they ascertain that there is no liability on their part. Track down their legal department, talk to a lawyer, get their procedure for preserving the evidence, and send a letter right away. Either way, if they get a preservation letter they will more likely preserve the evidence in anticipation of subpoena. They also have custodians of records who can send a declaration with the footage, eliminating the need for testimony to authenticate. For the practitioner with the manpower to chase down the legal department of a corporate nonparty (or a local business proprietor), it makes sense. Although such a clause gives your letter teeth, rule 5-100 of the California Rules of Professional Conduct prohibits a lawyer from threatening to present criminal, administrative, or disciplinary charges to obtain an advantage in a civil dispute. Rule 5-100 does not exempt nonparties as recipients of those threats. And even mentioning that this section of the Penal Code exists can be interpreted as a threat. Leaving the matter to a qualified investigator averts such potential complications. Just be sure the investigator does not quote the Penal Code himself – he is your agent, and acts with your authority. His actions can be imputed to you. Some discovery sanctions are available to punish third-party spoliation, including monetary and contempt sanctions against persons who flout the discovery process by suppressing or destroying evidence. … A criminal sanction remains available under Penal Code section 135, as are disciplinary sanctions against attorneys who may be involved in spoliation. As we have pointed out, the victim of third-party spoliation may deflect the impact of the spoliation on his or her case by demonstrating why the spoliated evidence is missing. … It also may be possible to establish a connection between the spoliator and a party to the litigation sufficient to invoke the sanctions applicable to spoliation by a party. … We do not believe that the distinction between sanctions available to victims of first-party and third-party spoliation should lead us to employ the burdensome and inaccurate instrument of derivative tort litigation in the case of third party spoliation. If the defendant possesses the evidence you seek, a strongly-worded spoliation letter citing Evidence Code section 413, which allows the court to instruct the jury to view the spoliation with a negative inference can be useful. But with nonparties, this is rarely helpful except where some collusion can be inferred between the third party and the defendant. An example of this could be an unlikely case where there is a medical malpractice claim against a surgeon in which somehow the hospital or surgical center is not named as a defendant but has evidence in the case. Still, there are times when the client may be the best investigator you can have. Some of us may take a case with smaller injuries and/or coverage if the client will do the initial legwork. Client-obtained video evidence can make the difference between taking a case or not. A client who retains you with evidence in their hand makes the decision whether or not to be retained much easier, especially since it might not be until much later that the full extent of their injuries is learned. Sometimes, members of the community may also come to your aid. In San Francisco two years ago, a cyclist was killed in a bike lane when a big rig truck turned right in front of her, instead of merging into the bike lane first, as vehicles turning right across bike lines are required to do. 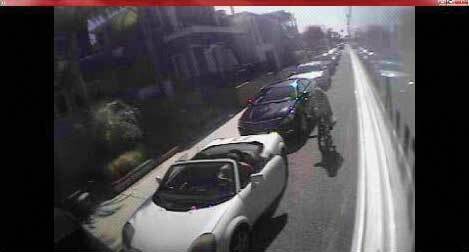 San Francisco police and the insurance company said it was the cyclist’s fault. Police also claimed no success in their search for local businesses for video footage. Police investigating a wrongful death are supposed to seek video footage. But, even if they tell you they have, you cannot count on them. Most detectives are overworked and unable to devote the time to be thorough in a non-criminal matter. A local bike activist noticed security cameras at a car repair shop across the street from the site. When he asked the shop’s employees, they said that the police had not asked about the cameras. Because it had been less than a week since the accident, the footage was still intact. The activist put it on a flash drive and delivered it to the San Francisco Chronicle, which ran a story documenting how negligent, biased and deceptive the San Francisco police department had been. In 2015 the woman’s family secured a $4 million verdict against the trucking company. The video was instrumental. Obtaining video evidence should regularly become a part of your intake process. Thomas Noguchi, the self-titled “coroner to the stars,” wrote in his book Coroner that the first place he looked when he arrived at a crime scene was at the ceiling, lest any fleeting evidence expire. For the forensic examiner, the lapse of time was the difference between obtaining crucial evidence and not. This axiom applies equally to gathering video evidence in civil cases. It can make or break a case. Josh Cohen, a bicycle commuter, represents injured cyclists. He attended Vermont Law School and clerked for the EPA, Dewey & LeBoeuf, the California Attorney General’s Office, and the Los Angeles City Attorney’s Office. He did toxic torts plaintiff work before working with his father Paul F. Cohen. Josh is a member of CAALA, CAOC, AAJ, The Los Angeles Bicycle Coalition, The California Bicycle Coalition and the League of American Bicyclists. He frequently presents to cycling groups about insurance and the law. 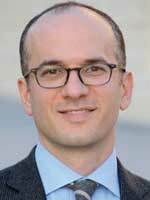 Visit his Web site: losangelesbicycleattorney.com. He can be reached at josh@paulfcohenlaw.com. Rear-mounted camera on passing bus shows cyclist approaching vehicle as driver opens door. The moment of impact when the driver of the covertible unexpectantly opens door wider without checking first.